Click here to return to the main 6-Month Creation Cycle page. 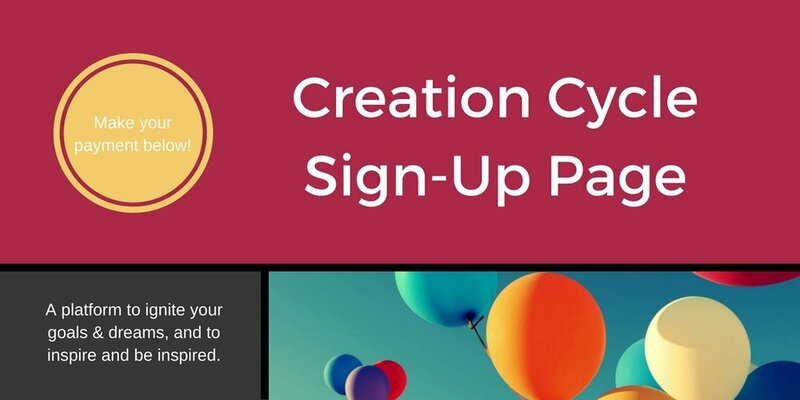 Our 6-Month Creation Cycle is a Launch Pad for your goals, dreams and growing edges! Once we receive your payment, you'll be officially enrolled, and we'll send an email with full details to get started! Add "hello@sacredhouse.org" to ensure success of our email send. If you don't see information from us within 24 hours, check your spam filters, and if still no email, then contact us at hello@sacredhouse.org to let us know. As with all of our offerings, we are happy to offer a refund, no questions asked, if you attend the first Purpose Party or Recipe For Spirituality class session and discover that 6-Month Creation Cycle is not for you. Got Questions? Ask 'Em Here! Your message has been sent. Success!